Today’s post is a look at the Taylor Report on Work, which dropped a couple of weeks ago. Strictly, it’s a Review of Modern Working Practices rather than a Report on Work, but one just seems like a fancy version of the other to me. It was commissioned by Theresa May soon after she became Prime Minister. unemployment is at a 40-year low of 4.5%. fewer than 15% of young people are unemployed, compared to more 40% in parts of Europe. But the rise of self-employment and the “gig economy” has pundits and wonks around the globe worried. Given the contents of the recent Election Manifesto, I’m expecting to find more evidence of just how un-conservative a PM she really is. Matthew Taylor used to work for Tony Blair (he’s now chief executive of the Royal Society of the Arts), so that seems a reasonable assumption. 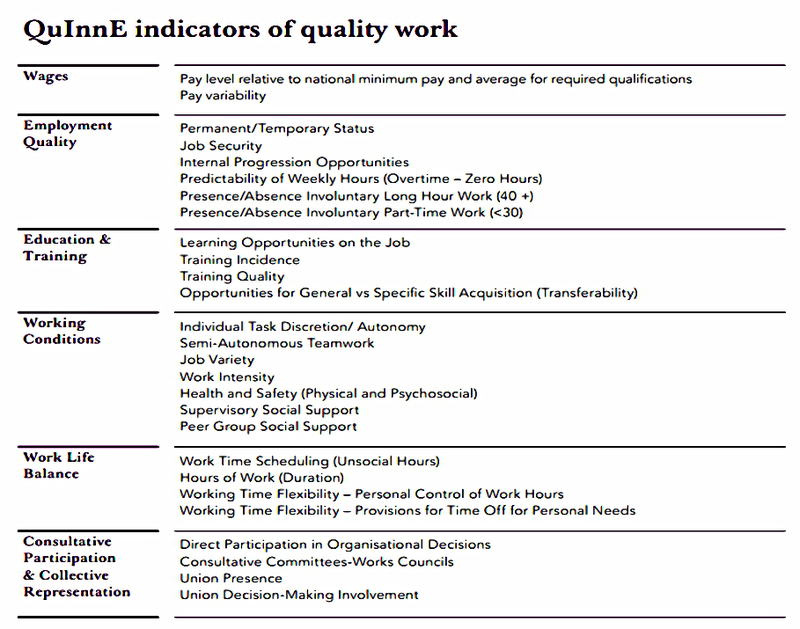 The report (115-pages, if you are thinking of reading it) is called “Good Work” and includes a table defining exactly what constitutes good work. Apparently unions are part of the mix, even for a Tory government. Less flippantly, it looks difficult to me to design a workplace where everyone has autonomy and “routes to progress”, and yet enough things get done for the place to stay in business. I’m not saying that these aren’t great things to aspire to, but not everything can be made available to everyone at the same time. There’s a thing called scarcity, and we need ways to allocate scarce resources that aren’t merely random, or at the whim of some local gang master or party crony. Not all jobs – or all workers – are equal. At the core of the report is self-employment. It’s obviously a growing trend (there are now 5M self-employed in the UK), but is it a good thing or a bad one? Are the self-employed exploited and unhappy, or delighted about the flexibility of their work? The left assumes that everyone in part-time self-employment would like a full-time “permanent” job. 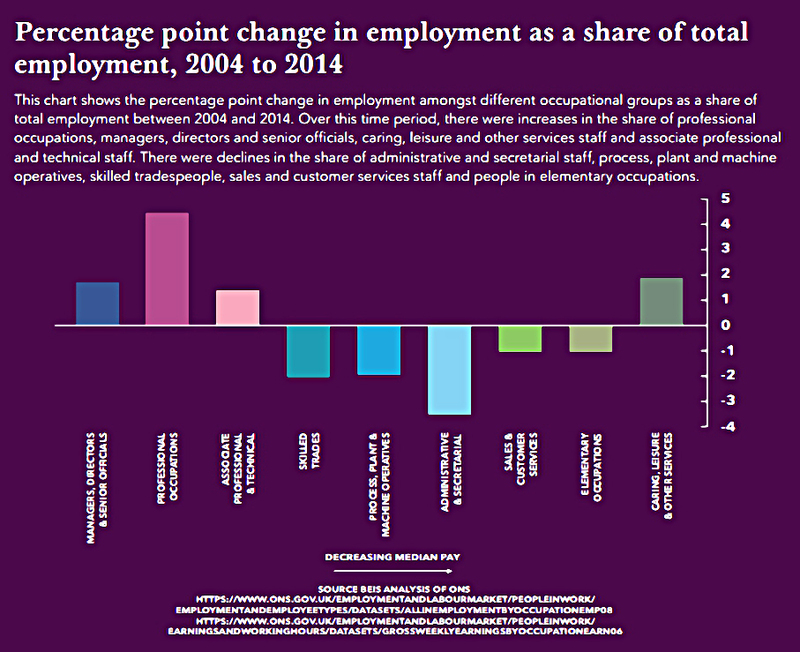 In fact the ONS calculates that only 0.1% of the workforce is in this situation. Given that Philip Hammond recently tried to hike the NICs applied to the self-employed,1 the government is not that keen on them. When I was a kid, this was called piece work, but now it’s known as the gig economy. The underlying fear is that platforms like Uber and Deliveroo are exploiting vulnerable workers. 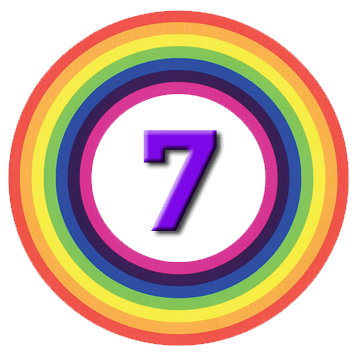 But although there has been a steady rise in self-employment, most of this has shown up in more traditional fields like as hairdressing and other conventional freelance jobs. Many forms of self-employment now depend on apps, websites and agencies, and separating out the “dependent” self-employed is not easy. The report floats the idea of a new hybrid status intermediate between employee and self-employed,. These “dependent contractors” would have more rights than they do at present (particularly sick and holiday pay, plus rest breaks and maximum hours). But an extra employment category also sounds like a recipe for more complexity and argument. Zero-hours contracts (ZHC) are on paper more difficult to defend. 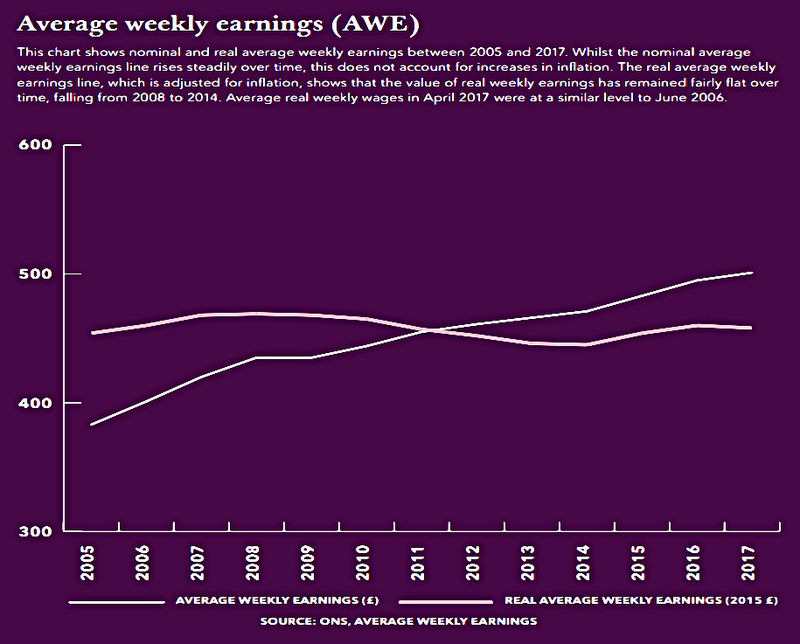 But in practice many ZHC workers earn above the national living wage. They are also much more likely to be young / students / part-time and or semi-retired. The picture painted by the unions of thousands of full-time workers struggling to support their families on ZHC is too bleak. 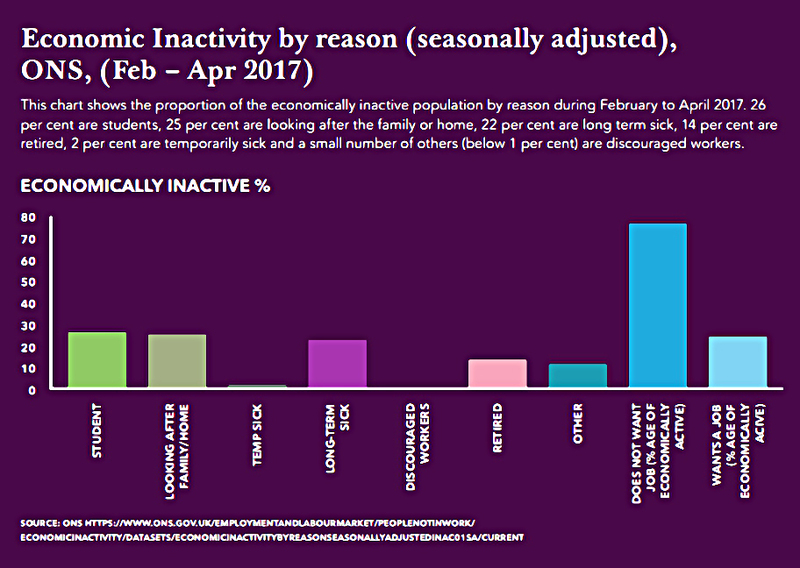 The official Labour Force Survey in March this year found that 68% of those on ZHCs did not want more hours. But we need to put an end to people being told to be ready for work or to travel to work, only to find that there is none available. The report doesn’t call for a ban on ZHCs, but rather for new calculations to ensure that minimum wage legislation still applies. In an entertaining article called “Think like a supermodel“, Tim Harford proposed an alternative vision of the gig economy. Companies can merge with suppliers, or outsource more operations. Those making the most efficient choices will survive and prosper. Tim offers up a vision of gig workers using their own software (he calls it GigBot) to talk to Lyft and Uber and TaskRabbit and Deliveroo. They would only receive offers for work that meet their requirements. It’s a nice idea, but we’re not there yet. It would be great if the government could nudge us in this direction. Another key issue in the report was pensions. The switch from DB pensions to DC pensions has left a lot of people without enough saved for retirement. The recent auto-enrolment drive is intended to address this for the next generation of emplyed workers. It remains to be seen what proportion will stick with the scheme when the the annual contributions are hiked to the necessary levels. In any case, the self-employed aren’t included. The Taylor report says they should be, via some kind of annual self-assessment process. This is also a Tory manifesto commitment, so it’s not a shock to see it in the report. The plan is to charge an extra 4% on top of income tax and NICs. 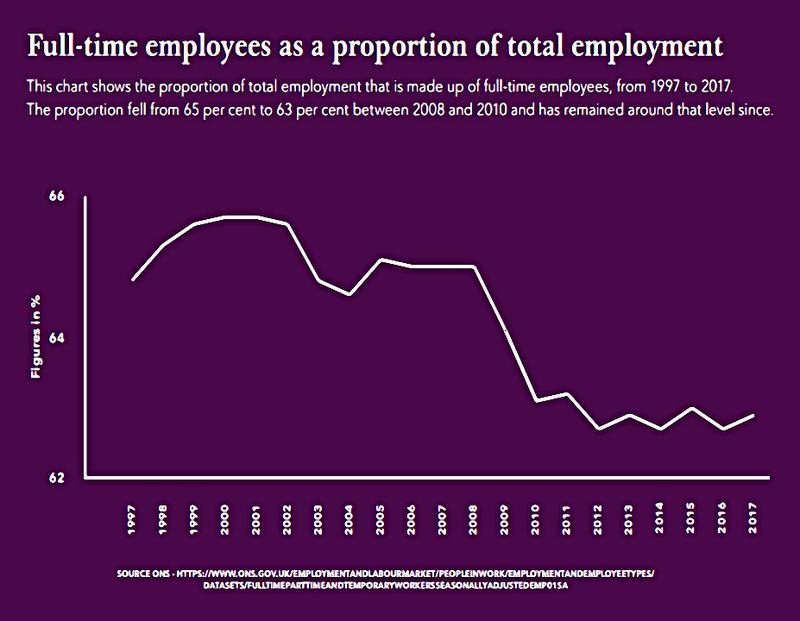 But 60% of the self-employed earn less than the £10K pa threshold for mandatory auto-enrolment. And 4% pa is not enough, and they will be able to opt-out anyway. The report also said that the Lifetime ISA (LISA) was a “good opportunity” to incentivise the self-employed to save. Ros Altmann disagreed, pointing out that many self-employed were older than 40, and didn’t qualify for the LISA. The exit penalty is also ill-suited to a section of the population that needs more rather than less flexibility. I agree with Ros – the LISA is basically another form of support for the housing market. The report suggests that existing piece rate legislation (as used eg. in agriculture) should be adapted to ensure that people who want to work flexibly are still earning the minimum wage. Each company will need to show that workers over 25 can earn at least 1.2 times the national minimum wage during normal working periods. This is initially confusing – how can 1.2 x the minimum be the new minimum? But the higher base rate for more casual workers appears to be in exchange for the right to offer lower off-peak hourly minimums. The gig platforms had warned that if dependent contractors had the right to be paid the minimum wage at all times, they would have to stop them working whenever they want. Otherwise, people could log on in the middle of the night when there are no requests for deliveries or rides. So it looks like the compromise will be a declared effective minimum wage depending on time of day / season, which the contractor can accept or refuse. After the U-turn comes the full 360 degrees – Taylor recommends that Class 4 NICs should be hiked after all. This may seem logical, but with Labour opposed to this, May’s slender majority makes it politically difficult. Taylor also suggested that cash payments should be phased-out. Jobs such as window cleaning and decorating were worth up to £6bn a year and many were currently untaxed. Taylor stopped short of calling for a ban on cash payments, but wanted to encourage systems like PayPal instead. In a few years time as we move to a more cashless economy, self employed people like your window cleaner would be paid cash-lessly. They can pay taxes and save for their pension. I think this is part of a bigger government plan to phase out private cash. It’s a topic I’ll return to in a future post. Taylor’s recommendations are likely to achieve little to reduce in-work poverty while increasing costs, which will be passed on to consumers in higher prices for taxi rides and home deliveries, and to workers in terms of reduced net pay and fewer, and less varied, employment opportunities. The gig economy empowers consumers over businesses, and these new recommendations could overturn this balance. Politicians should use the emerging gig economy as an opportunity to liberalise labour law. This review is not the game-changer needed to end insecurity and exploitation at work. Gig economy employers will be breathing a sigh of relief. There’s nothing on concrete plans to ban the zero hours contract abuse that is growing so quickly in UK workplaces. Introducing a new category of ‘dependent contractor’ looks like caving in to special pleading from app-based companies, who are claiming that they cannot pay the minimum wage like any other employer. Businesses should be transparent about how they employ people (who is classed as working in what status), including how many zero hours contracts they have. Clarity on employment should not be decided at tribunals. The burden of proof should be on the employer to disprove a claimed working relationship. “Workers”2 should become “dependent contractors”, and the three working statuses should be more clearly defined. Existing piece rate legislation should be adapted to ensure that people who want to work flexibly are still earning the minimum wage. Minimums will be 1.2 times the national minimum wage during normal working periods, but lower in off-peak / off-season periods. The “Swedish Derogation” rule (an EU loophole that allows agency staff be paid less than employees in the same role) should be closed. This will mean more pay for these workers, but higher costs for businesses. 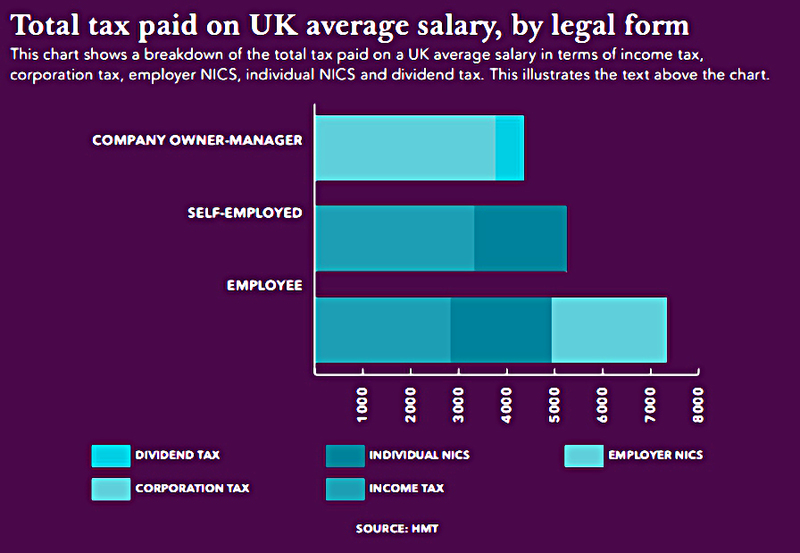 The NIC increase for the self-employed should be implemented after all. There should be a national strategy to provide good work for all “for which government needs to be held accountable”. Everyone should enjoy a “baseline” of protection and be given routes to enable progression. This report left me cold. I don’t agree with the basic premise that self-employment is a bad thing. I was self-employed (albeit through a personal service company) for decades, and I preferred it to full-time work. I guess I’m hoping for Tim Harford’s GigBot to save us all. 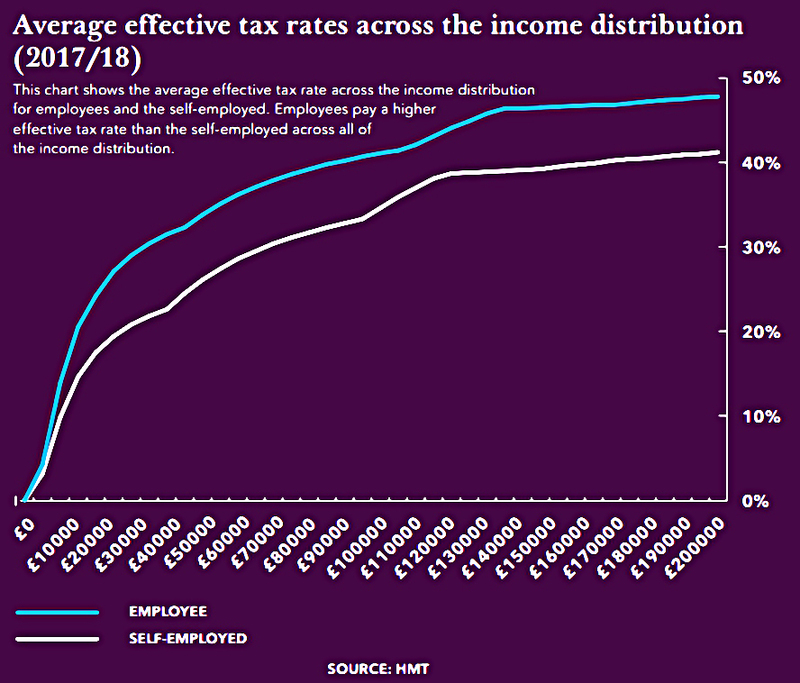 It’s true that the self-employed don’t save enough for retirement, but a voluntary 4% surcharge at the end of each tax year isn’t going to fix that. We need to follow Australia’s example, and bring in a compulsory superannuation scheme that deducts meaningful amounts from all earnings. I wouldn’t miss zero-hours contracts, though getting rid of them will raise costs and reduce total work available, particularly for people who don’t want to commit to regular hours. And a new hybrid employment status just sounds like more red tape to me. We don’t want to end up like France, do we? The report Mike, also left me cold in that Taylor is unrealistic that you can phase out cash payment – a large part of the black economy gets paid like this and the last thing people in that situation (escorts and people moonlighting) want is an electronic record of what they have been paid (! )- so cash will always survive..
Companies likes zero hours contracts because it means that they never have to make staff redundant- if people are on zero hours they only get paid when there is work for them. If there is no work, they just leave them there until there is. If these people were employed, the company would end up paying for people they do not need and they would make them redundant -so zero hours work is manna from heaven for them. The Government’s recent changes to IR 35 (tax for the self employed) alters things a lot -this now applies to the public sector and around 90% of small contractors have stopped working for the Government as this new legislation means that they get taxed on the payroll rather than as being self employed almost as if they are employees but have no employee rights (no sick or annual leave and of course no pension entitlement). The Treasury thought that self employed people called themselves that to avoid paying tax so they now tax them at source-all worrying stuff! You could publish my trading rules in the newspaper and no one would follow them. The key is consistency and discipline. Today's article is about the FCA's Retirement Outcomes Review. The Interim Report was published last week.